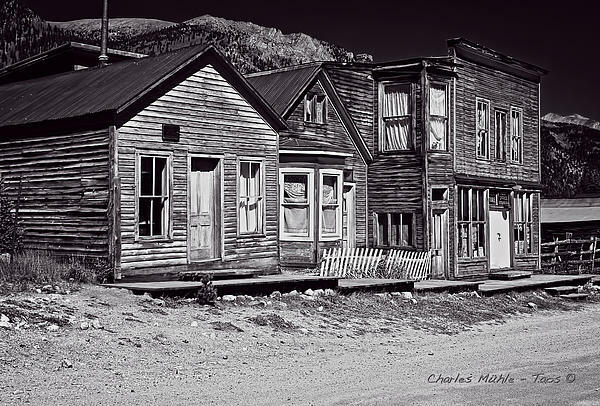 There are no comments for St Elmo In Black And White. Click here to post the first comment. 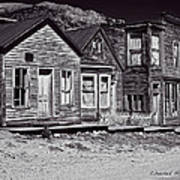 St. Elmo is a ghost town in Chaffee County, Colorado, United States. Founded in 1880, St. Elmo lies in the heart of the Sawatch Range, 20 miles southwest of Buena Vista and sits at an elevation of 9,961 feet (3,036 m). Nearly 2,000 people settled in this town when mining for gold and silver became evident. 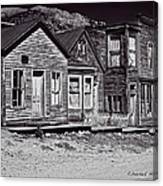 The mining industry started to decline in the early 1920s, and in 1922 the train discontinued service. 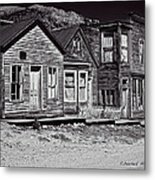 It is one of Colorado's best preserved ghost towns.